Elon Musk, chairman of SolarCity and CEO of Tesla Motors. Electric car maker Tesla's move last week to cut 9% of its workforce will sharply downsize the residential solar business it bought two years ago in a controversial $2.6 billion deal. This is according to three internal company documents and seven current and former Tesla solar employees. The latest cuts to the division that was once SolarCity include closing about a dozen installation facilities, according to internal company documents, and ending a retail partnership with Home Depot that the current and former employees said generated about half of its sales. 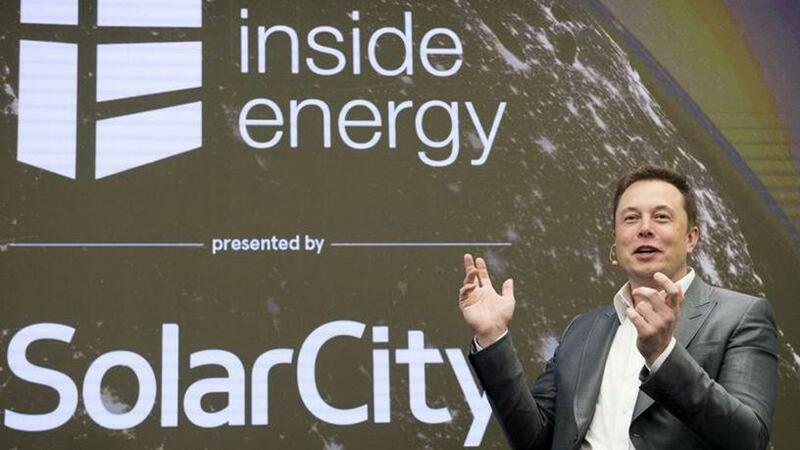 SolarCity was a sales and installation company founded by two cousins of Tesla CEO Elon Musk. About 60 installation facilities remain open, according to an internal company list reviewed by Reuters. An internal company e-mail named 14 facilities scheduled for closure, but the other list included only 13 of those locations. The company said cuts to its overall energy team, including batteries to store power, were in line with the broader 9% staff cut. "We continue to expect that Tesla's solar and battery business will be the same size as automotive over the long term," the company said in a statement to Reuters. The operational closures, which have not been previously reported, raise new questions about the viability of cash-strapped Tesla's solar business and Musk's rationale for a merger he once called a "no brainer". But some investors have panned it as a bailout of an affiliated firm at the expense of Tesla shareholders. Before the merger, Musk had served as chairman of SolarCity's board of directors. The installation offices that the internal e-mail said were targeted for closure were located in California, Maryland, New Jersey, Texas, New York, New Hampshire, Connecticut, Arizona and Delaware. The company also fired dozens of solar customer service staffers at call centres in Nevada and Utah, according to the former Tesla employees, some of whom were terminated in last week's cuts. Those employees spoke on condition of anonymity because making public comments could violate the terms of their severance packages. "It's been a difficult few days; no one can deny this," a Tesla manager wrote in a separate internal e-mail, sent to customer service employees shortly after the cuts were announced. Tesla has been burning through cash as it tries to hit a target of producing 5 000 Model 3 electric sedans per week after production delays. The company faces investor pressure to turn a profit without having to tap Wall Street for additional capital. The total number of cuts to the solar workforce remained unclear. Some personnel at facilities closing down were being transferred to other sites, the current and former employees said. SolarCity employed about 15 000 people at the end of 2015 but has since cut thousands of workers. Ending the Home Depot partnership, which allowed for solar sales in about 800 stores, is part of Tesla's larger effort to absorb SolarCity into its high-end brand and sell through 90 of its 109 US retail stores and its Web site, the company said. "Tesla stores have some of the highest foot traffic of any retail space in the country," Tesla said. Analysts questioned Tesla's plans for the solar business in light of the latest cuts to staff and retail operations. "In effect they seem to be saying, 'We have no strategy for selling solar,'" said Frank Gillett, an analyst at Forrester Research, adding that the SolarCity purchase "looks pretty awful right now". In the first quarter of this year, Tesla installed 76 megawatts of solar systems; down from SolarCity's more than 200MW a quarter in early 2016, when it was the leading player in the industry. In announcing quarterly results in February, Tesla said growth in solar deployments would resume later this year. Tesla's falling solar sales could also jeopardise the future of a joint venture with Panasonic, announced as Tesla moved to acquire SolarCity in 2016, to produce solar modules at a new factory in Buffalo, New York. In March, a Delaware judge ruled against a Tesla motion to dismiss a lawsuit by the company's shareholders over the SolarCity deal. The lawsuit alleged Tesla's board of directors breached its duties to shareholders by approving the merger. SolarCity founder Lyndon Rive, who is Musk's first cousin and left Tesla last year, did not respond to a request for comment. GTM Research analyst Austin Perea estimated the partnership recently accounted for about half of sales, in part because of previous Tesla moves to cut back on other sales and marketing costs. The cost of winning a customer through a store like Home Depot can be up to $7 000 per system, according to GTM Research, compared with a national average of $4 000 per installation. Home Depot spokesman Stephen Holmes said the retailer's relationship with Tesla would last through the end of the year, adding that Home Depot would continue a partnership with Tesla competitor Sunrun in an undisclosed number of stores. Over the past year, Tesla has stepped up efforts to sell solar and batteries for energy storage in its retail stores, something Musk said last year was "a much more efficient channel for demand generation". At the same time, Tesla stopped door-to-door sales, once among SolarCity's most successful means of reaching new customers, and sales people were no longer allowed to hold local events or buy online leads, the former employees said. The Home Depot partnership was costly but also integral to Tesla's solar panel sales, a former employee told Reuters. "It's an expensive account," the former employee said, "but it does bring in all the revenue".